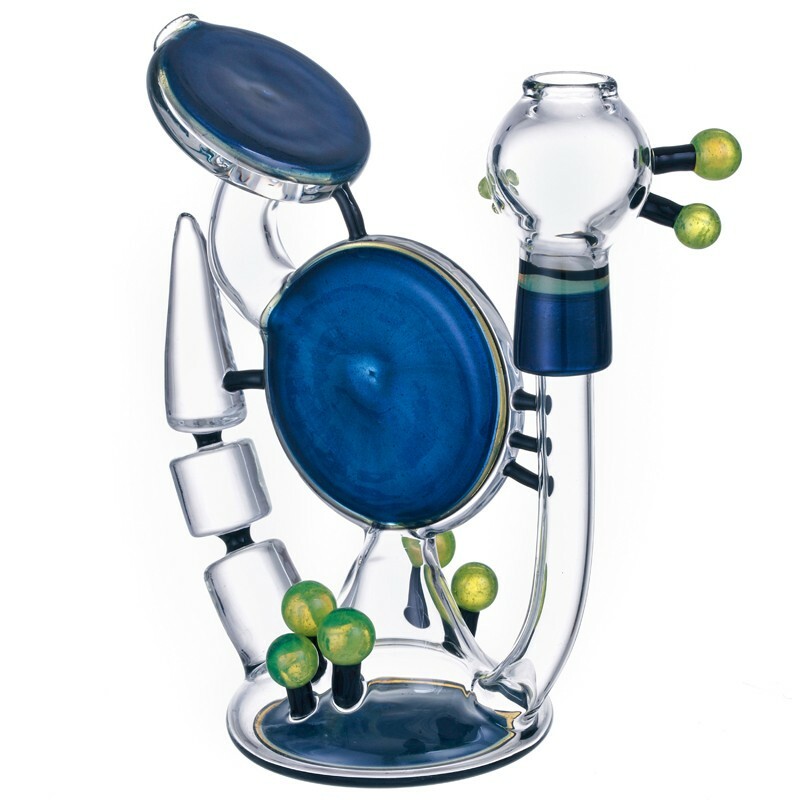 If you’re looking for signs of alien life, and I know you are, look no further than this ca-razy awesome glass bong which has surely been constructed by aliens from the planet Kush. This is the Heady Glass Double Disc Vapor Bubbler in Greenish Gold Sparkle with Clear Spikes! Aliens love long bong names. Ask NASA. Each one of these amazing glass bongs, er, double disk vapor bubblers is handmade when you order it and features incredible high-end glass work. Go ahead, treat yo self!